The digital currency revolution has implications that spread far beyond the finance industry. Anyone who exchanges payment for goods and services is on the cusp of the next big push in societal evolution, and only an understanding of the technology and a clear knowledge of the systems and behaviors at play can fully prepare us for the changes to come. 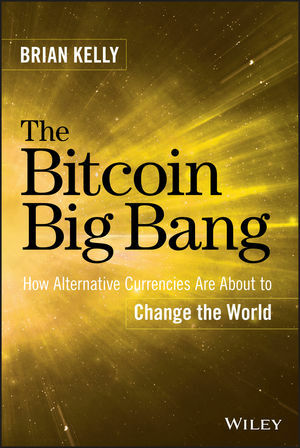 The Bitcoin Big Bang is the go-to guide, helping those who use money use it better. BRIAN KELLY is a CNBC contributor who regularly appears on Fast Money, Halftime Report, and The Kudlow Report. His 20 years of success in U.S. and foreign currency and equities trading have gained him enormous respect among the clients of his investment management firm, Brian Kelly Capital, LLC, which focuses on global macro and currency investing. Brian holds an MBA from Babson Graduate School of Business, with a concentration in finance and econometrics.